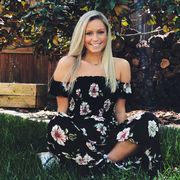 My name is Brooke and I am currently a freshman at Longwood University studying to be a nurse. Since I am away at school, I am looking to become a part-time/full-time nanny over summer while I am home. (mid May-mid August). I have been babysitting kids of all ages for about 5 years now. I also have experience with special needs child. Brooke doesn't have any reviews yet.